Jho Low win over Mahathir Government in US Court. A United States court has granted the US Department of Justice (DoJ) the motion to dismiss its forfeiture action against the superyacht Equanimity, according to fugitive businessman Low Taek Jho's lawyers. 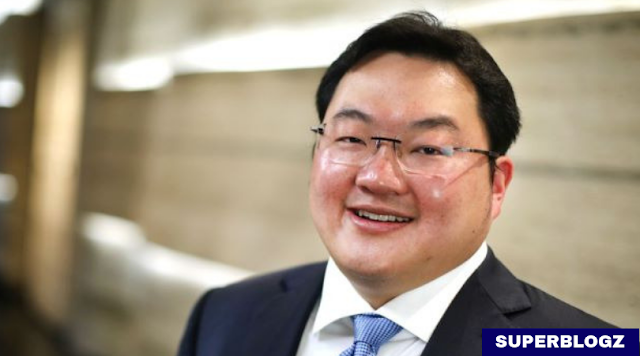 Low, better known as Jho Low, in a statement through his lawyers, said the DoJ, with the consent of the superyacht's owner Equanimity (Cayman) Ltd, have agreed to seek dismissal of the action. "While it is not a perfect outcome, it is reasonable and understandable, given the brazenness of the Mahathir government in illegitimately seizing the yacht from Indonesia, in a blatant violation of Indonesian law and with no regard for a US court order designed to ensure all parties were afforded their full rights under law," Low said. The fugitive businessman reiterated once again that by seizing the yacht from Indonesia and docking it in Port Klang, and then subjecting the vessel to media and public access, the Malaysian government was responsible for eroding the Equanimity's value. He said Dr Mahathir's government had failed to sell the vessel at fair market value at the auction. "Low recognises that, as a result of the DoJ’s motion to dismiss the action against the Equanimity with the consent of Equanimity (Cayman) Ltd, the US court has made no negative findings or rulings against Low regarding the US government’s allegations in the forfeiture complaint, and there have been no admissions of any wrongdoing, as is consistent with Mr Low’s position of maintaining his innocence," the statement read. The Equanimity was seized off the coast of Bali by Indonesia in February last year at the request of US authorities as part of a probe into the multi-billion-dollar 1Malaysia Development Bhd (1MDB) scandal. The Indonesian government then handed over the vessel to Malaysia authorities last August. Low had previously alleged that the Equanimity was wrongfully taken from Indonesia, as the government ignored court rulings in Indonesia, as well as established legal proceedings in the US. He claimed that no "sensible", independent third-party buyer would purchase a vessel from an unreliable vendor at anything other than a hugely depressed value, adding that the sale was merely a "PR stunt". The Attorney-General's Chambers (AGC) here previously stated that the appraised value of Equanimity remained confidential, as were the identities of the bidders. This was to protect the privacy of the bidders and the integrity of the process until the sale was completed. It was reported that the bidding for the Equanimity closed on Nov 28 last year and that it had received interest from bidders from Asia, Europe, Middle East and United States. The Sheriff of the Admiralty Court here is reportedly seeking the necessary orders from court to commence the second phase of the judicial sale by private treaty for the closing of the sale no later than March 31. The Equanimity is one of many luxury items seized as part of the government's probe into money laundering in the 1MDB scandal.